Inspired by the entrepreneurial skills of Akemi Shimomura, the successful owner of the Miss Paris Group of Companies, the contestants of Miss International 2016 gathered for the Second International Women’s Entrepreneurs Forum under the auspices of the International Cultural Association, which is being chaired by Ms. Shimomura herself. The forum involves discussions focusing mainly on the role women in the business world. Several contestants offered their ideas and opinions regarding the contribution of women in promoting entrepreneurship. 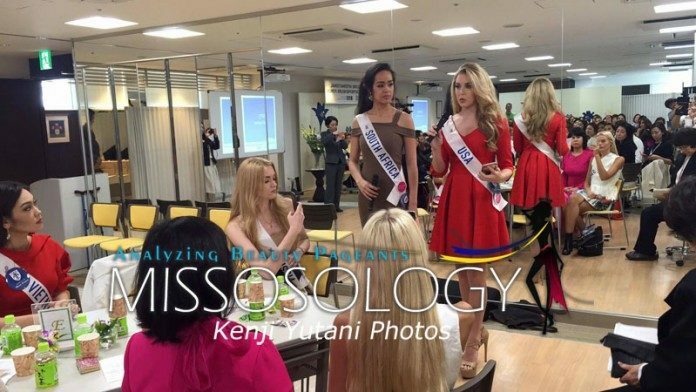 Miss Canada Amber Bernachi (26) said during the open forum that women should support each other and should not be judged by their physical appearance. During the group discussion, Miss South Africa Tharina Botes (19) calls for more women participation in various fields including politics, and that, women should have equal salary for equal work. She also mentioned the pre-1994 apartheid system in her country and its effects on the status of women.